Defended health insurer in pre-existing conditions cases in Alabama, Florida, and Oklahoma. Assisted in defense of refrigerator manufacturer in products liability cases. Assisted in defense of water heater manufacturer in products liability case. Advised client regarding Consumer Product Safety Commission Act. Handled recall of consumer product with Consumer Product Safety Commission Act. Worked on class action lawsuits involving alleged violations of consumer protection statutes. Defended owner of residential apartment buildings in class action and individual lawsuits related to mold. Won summary judgment in ERISA disability case, which argued and affirmed by Eleventh Circuit Court of Appeals. Won motion to dismiss in ERISA disability case based on statute of limitations which was affirmed by the Eleventh Circuit Court of Appeals. Won summary judgment in rescission and fraud case in Illinois. Defended health insurer in rescission cases in Florida and Illinois. Defended health insurer in case concerning increase in premiums. Retained to defend insurer in ERISA disability claims. Retained to defend insurer in claims for disability benefits under Alabama state law. Defended insurer in disability benefits cases under Florida state law. Defended store owner in Dram Shop Act and Civil Damages Act case where minor was involved in car accident. Defended store owner in Dram Shop Act and Civil Damages Act case where minor was killed in car accident. Defended apartment management company in slip and fall accident. Briana practices in the firms Torts, Insurance and Product Liability section. She is the Past-Chair for the Health & Disability Law Committee of the American Bar Association's Tort, Trial and Insurance Practice Section, and is currently the Executive Editor of the TortSource Editorial Board. Briana routinely defends health, disability and life insurers in cases involving rescission of coverage, denials of claims, pre-existing conditions, bad faith and violations of state consumer protection statutes. She has experience in defending claims brought under both individual insurance policies and claims governed by ERISA. Briana also has experience in assessing coverage under professional liability policies. Briana also defends manufacturers and distributors in products liability lawsuits, and has represented and advised manufacturers in regards to their obligations under the Consumer Product Safety Act. Briana routinely reviews marketing and advertising materials and rebate programs for compliance with the Federal Trade Commission and state law. 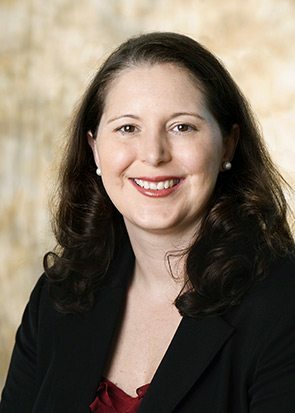 Briana has experience in state and federal court, and has argued before the Eleventh Circuit Court of Appeals.